Take Off - Coming back to Europe! Title: Coming back to Europe! On the 15th of april our alarm clock rang at 4h30. Our first flight left from Grenada to Barbados at 6h30. Second flight from Barbados to Martinique. 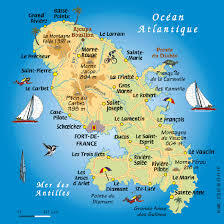 We arrived at 9h30 in Martinique and our flight to Europe was not until 18h00. So we took a taxi to a hotel at Trois-Islet and checked in there for the day with restaurant and a pool. This was the last ”pressing in the sun” for Jörgen! Checking in our luggage in Martinique. Next - Europe!! This was all exciting for the kids as they had never been flying so far away and for so long! The most exciting was to sleep in the plane!